Hello. I saw your listing on Moveandstay for The Executive Centre - Sydney, Northpoint Tower: from 27 April 2019 to 29 April 2019 I like to learn more. The Executive Centre at North Point Tower offers a beautiful working environment coupled with unrivalled convenience. Let us help you set up your business here today. Located on 100 Miller Street, Northpoint Tower is a prime business premise in North Sydney in the high-demand district for advertising, marketing and IT companies. With its direct access to North Point Plaza, you can enjoy a dazzling array of shops, cafes, bistros and ample parking space. The building is minutes away from the Greenwood Metro and North Sydney train station, allowing easy access to Sydney CBD. 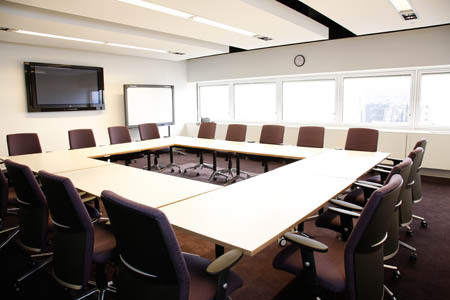 Meeting room and conference venue is superbly decorated with a first class reception area and fully equipped with the latest presentation aids, audio-visual facilities, video-conferencing and internet. Client Service staff are on hand to support your event at every stage and assist with presentation equipment if required.